It's HERE! The moment you've all been waiting for! We have had requests for these for a bit now. For those of you who claim your dogs would be "WALKER BAIT" during the apocalypse, you can now make them wear their title proudly. Have no shame, those of you with sick sense of humors, your dog can now tell the world what he'll be when the zombies take over. In STYLE!!! And don't worry, we'll be joining you as we think this is hilarious. And it rings most likely true for our two big, bad, mean, pit bulls as well. They'd be the first things eaten as there is no such thing as stranger danger to our dogs. This collar was actually suggested by a fan of ours. But it's truly inspired by Glenn from "The Walking Dead". Any "The Walking Dead" fans know that Glenn is referred to as "WALKER BAIT" in the show. This collar will be available in the following widths: 3/4" (for smaller dogs, and it will be made thinner to be more comfortable for their necks), 1", 1.25",1.5", and now 2". 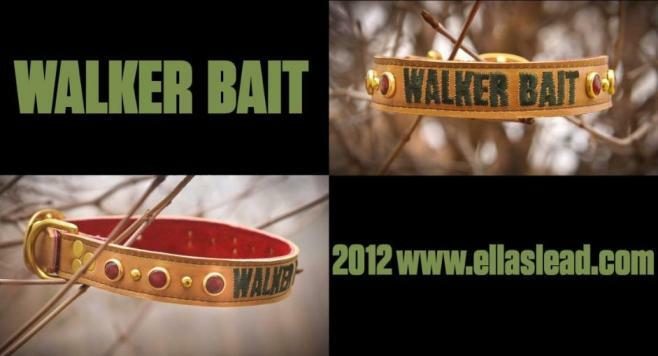 This collar is going to tell everyone that your dog is "WALKER BAIT". And that's hilarious. It will be available in brass or silver hardware. 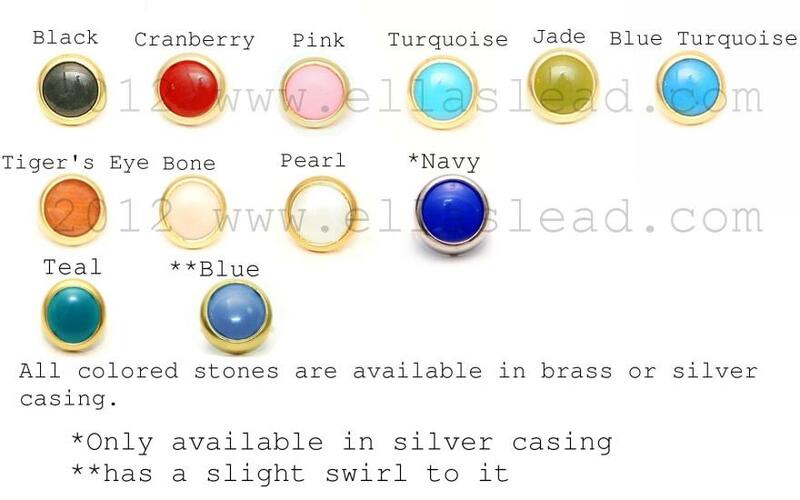 It will have a spot pattern of alternating colored stones and small dome spots in either brass or silver. **The product photo is made with our camel leather, red suede, and army green embroidery thread. It is also made with cranberry stones and brass fittings. **Ella's Lead is not affiliated with AMC, The Walking Dead, Walking Dead (comic) or its producers.